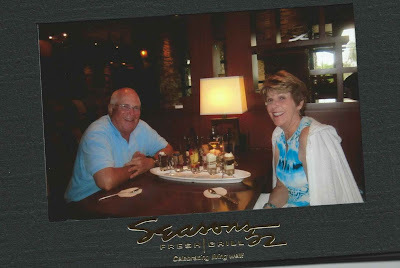 Barb and I decided to celebrate our 47th anniversary with a dinner at Seasons 52 in Naples. Well, we discovered customer service above expectations. Something that associations can consider when hosting members at conferences or events. I used their online reservation service (which is via OpenTable). I made the reservation and added a note that we were celebrating our 47th anniversary. As we arrived, I was wondering whether the restaurant had “picked up” my note about our anniversary. Barb and I were both impressed. As an association blogger, it made me wonder how well associations respond to special requests and provide outstanding member services. Please share your work in the comments section of my blog's website.